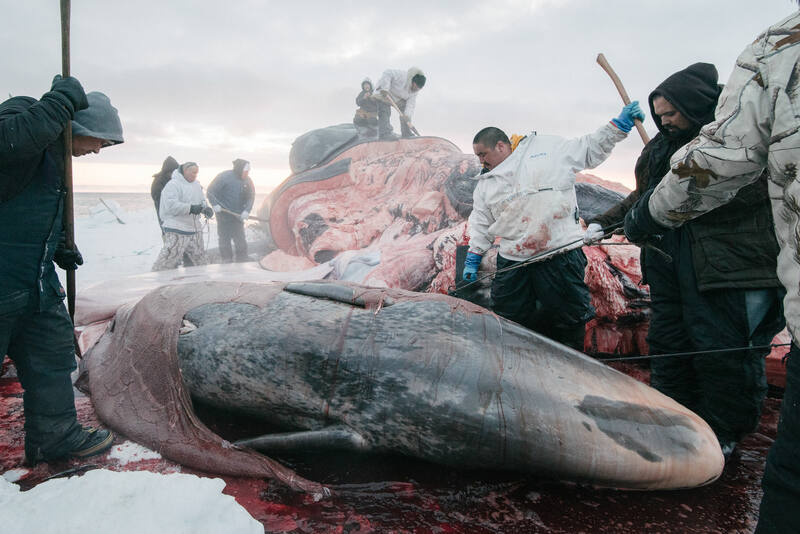 As a baby whale is discovered in the process of butchering, the whalers have a moment of silence. For scientists studying bowhead whales, the baby is a unexpected gift, as hunted whales afford the only opportunity for researchers to take direct samples and measurements. Much of what is known about the bowhead has come from the traditional ecological knowledge of Iñupiaq whalers.